You are just now getting those Toyos?! I though you had them weeks ago! Did you get that 22-250 rebarreled? Know you were talking about getting a 1:7 twist. No Gunny...I was waiting to sell the rifles to get the . I don't touch the savings for anything but emergencies. (....besides, I can't hide tires like I can guns ...gotta keep mom in the dark.....never use my stash for mundane items like tires. If I start shytting money away on stupid stuff, that will give mom the "right" to give money to "others" who always seem to have their hands out. She knows I don't really need tires as they still have 10-20 thousand miles left on em so frivolous items come from my guns. On the 1-7 twist....I don't think it matters on targets as short as 500 meters. The 55 grainers will do fine....we ain't winning cadillacs so I'll try the original barrel. I'll try it and if it don't work, I'll get it rebarreled. Hey Todd the Turtleman....YOU WON! First one on page 54......I could not find any prizes to give you as we gave away about everything Pitchy owned. 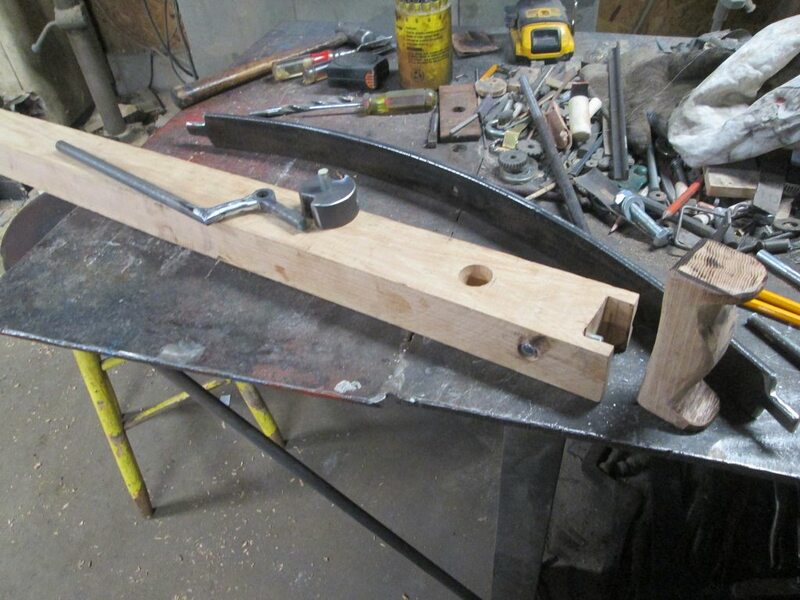 Last month I awarded Gunny Pitchy's sawmill but when him and Griff went o pick it up Pitchy shot hm with the M-1 Garand. Griff had to fly outta there with the Kenworth smoking the rear tandems pulling the flatbed trailer he was going to use to haul the sawmill. Now see I thought you NEEDED tires but ya just wanted them. I was really curious to see how a fast twist 22-250 with 77 SMKs would work !? I'm sure it's been done but not by anyone I know. Gunny..an old guy like me with lots of time on his hands gets bored easy.....so, I look for excitement from time to time and those things come from guns and Jeeps.......I only drive 2,000 miles a year in the Rubicon so what I had left on the tires would last me another 10 years...shyt! I ain't waiting till I'm 74 before I get cool kick azz tires. I want this fun stuff NOW. I hear ya Six ! Do y'all just have nothing better to do... I moved the safe yesterday... which is why all the guns were spread out over the floor in 2 rooms, over 2 couches and misc stuff in there was spread out over two coffee tables... I still ain't fit it all back in. And I've moved all the ammo that WAS in there out. After moving it 95% of the way to its new location... I decided it needed a good cleaning. In nearly 28 years in one location, I think I cleaned the outside... exactly ¼ of one time. I.e., I cleaned the door once! It just didn't seem to have that showroom NEW aura about it. In fact, I think it was covered in some kinda nicotine scum... So... like any good lacquer paint job, I broke out the polish and put some elbow grease into the job! Had the locking mechanism off to try and clean up that brass! 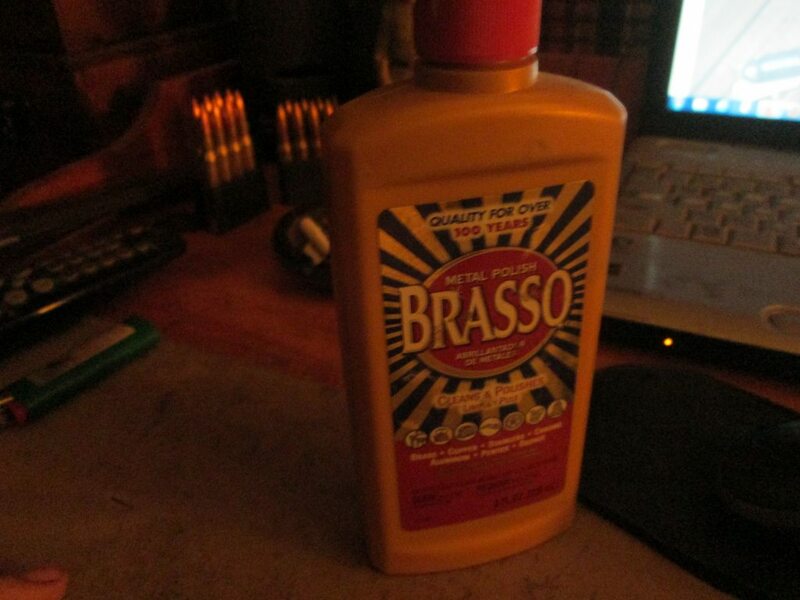 Any one have any tips on good methods to clean "gunk" off brass? Turn my back for one moment, and there's 54 PAGES of posts! Figured I was the last member who hadn't said something on this one! Pitchy, I dare say your post will never be exceeded for participation! I`ve had good results with this Griff. Hey! It's party time baby! Griff is in town and Jay..the other Jay....Ysable Kid dropped in! Hey Kid.....this is the fun post where we just talk about our daily boring lives. Nice to see ya drop in.....on this post we party...yep, party! Did ya notice the picture Old Savage posted yesterday on page 53???! It'll give ya a woodie......good ole Old Savage with the soft stuff! What a guy! No negativity, no crying and whining, no dark talk, just fun...fun...fun.....until daddy took Griff's KW away...not the T bird. Looks great Griff...grunge on brass?.....you know....just get a cleaning patch, spray it with 2+2 carb cleaner...wipe her down...let her dry and then brasso it...as,you know, watch the carb cleaner..it'll eat wood finishes right off. Might take off the black paint in the dial grooves. Lacking carb cleaner, straight Simple green will get it down to the brass. Years of hand dirt, grime and jissim will gunk up bad. 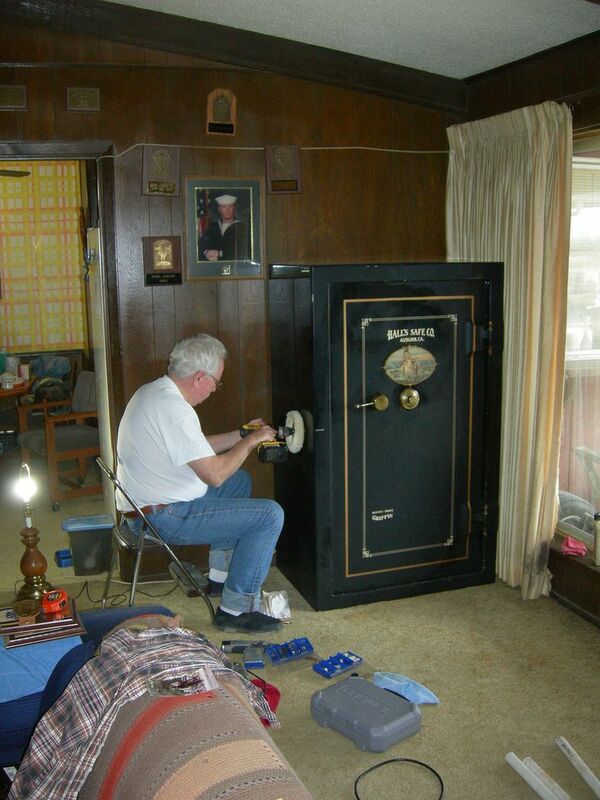 You sure that's YOUR safe.....you look like a safe cracker drilling a hole in the side. I like FLITZ polish, works on all kinds of metals. And its non toxic. Cant make Oaks, birds in the morning AND last day of deer season. I'm gonna be busy tomorrow. No can do, Six./ I got done with work at 7 tonight.... in freakin State College! 2 plus hours from home. Gotta fix upper control arms and axle actuators on Mommas king Ranch tomorrow or she is gonna be pizzed and if Momma ain’t happy ain’t NOBODY happy. Working in Carlisle on Sunday. Besides I met some OLD DUDE last week and out of the goodness of my heart gave him all my fun money. "But, can I have Old Savage set me up on a date." T/3, Well send your profile along. Do you like long walks on the beach and quiet nights by the fire? What is your sign? How about your favorite color and a bank statement, a recent pic? I had a shooting buddy that had a huge collection of Parkers, his guns were used in a book about Parker guns. Sadly he left us a few years ago. Besides I'm outta fun money at the moment... Been a long winter! I have to remember to bring venison with me this morning, guy in the club didn't get one this year. I told him he could have that doe I shot last week. Man, didn't sleep much. Wind howlin all night. I hate wind like that. Sat downstairs in my newly cleaned up and organized gun room last night. Seemed bigger. I chawed on some jerky my buddy Six sent. Wife and I may hit the indoor range today over in Bangor. Then go out for some burnin hot wings and brew. Finally got my truck fixed from the altercation with the deer. Had to wait for the body shop so I had to drill some holes in the plastic and sew it up with zip ties. It was flapping around a mite. I'm up! Gotta leave by 7:15 to be at the show by 8.....always liked being first in line..the first 20 guys or so get to hang out in the lobby where it's warm..20 out there now. Tom...you could not have said that better...when mom ain't happy, nobody is happy. Old Savage is a pimp also???? Well, if that's the case, get me that black haired gals number and I'll send my bank statement over. No need to send a picture as we all know what they care about. Wonder what she will think when she sees $454.82. Figured you hadn't gone to bed yet! He is in training Jay! Trying to get up with us Roosters( Pitchy & me)! Yep up at six every morning ready to get at it, -26 right now but going to warm up the shop today and see if i can get a start on the crossbow. Don`t spend all your money in one place Six spread it around a little, better to buy a lot of things than just one gun it will impress OS`s girls more. I felt decadent this morning, stayed in bed til 0630. Got up, ate a leisurely breakfast, read another chapter in my Tom Clancy book, pert near halfway thru, than 5 more books to go! Anyone want full height batwing doors for their kitchen? Yeah, neither do I! Then it'll be start work on the golf carts... should have both running by the end of the week. 1 is running now, but my son found the steering column is broke. The new engine cradle for the other arrived, and I found out I have to replace the crankshaft in the Honda engine... hmmm... should I get the stock 64mm for $53, or the stroked 69mm for $59? Gosh, only another C-note would get me a 90mm bore kit... a woppin' 440cc! Can you believe they want $600 for an electronic timing & fuel injection system? A fellar could go broke fixin' up these old golf carts! Griff I'll just show the women that list and they will be fighting over you. Six, I prefer to look at it as arranging companionship connections. Huh, figured we would have heard from Sixgun by now... he must be horse trading & gun trading his way into that M249 he wants! Wind was a bear this morning, birds didnt want to fly . Claro the chocolate wonder grabbed a rooster that was really fat, wonder if it could have flown if it had a catapult behind it?! But we got 4 birds in the end. Last one was flushed twice. First time it flew at me, thankfully the guy that was supposed to shoot DIDNT! I watched it fly and land a couple hundred yards away so we hunted to it. It flushed and the 28 ga did the trick as usual. Parker had 1 flush and retrieve today...Claro is a game hog!! Whoa!!!!...... "The Gunny" blasted his way to dinner. Well done young man...and my hat is off to the "chocolate wonder". 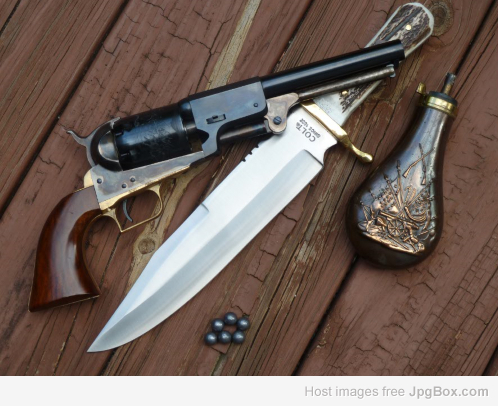 (Pet her for me, tell her the pet is from good ole Sixgun. Well...cruised up to the Oaks Pa gunshow....wait...gunshow? Mmmmmmm. Let's start again....I cruised up to the Oaks Flea Market. There! Dats better. No shyt....about half guns..part jewelry, knives, jerky, pickles, food court, sports memorabilia, glass cleaner, hot packs for message, children's clothes, T shirts, baby strollers, liberals, (yes, I got dirty looks with my Trump shirt on), real estate booths, lunch meat, (yes, LUNCH MEAT), in-home rubber machines that attach to the wall next to the toilet paper. ....on and on. No, there were no rubber machines. I bought five kick azz T-Shirts, decals for my Jeep, and a Trump knife. Almost......almost....almost bought a M-1 Garand. There must have been 100 Garands there, all kinds of M-1 Carbines, lots of old Winchesters, Colts, Marlins, pre war Smiths, but mostly modern handguns, most all semi autos. And YES, there was a full auto BAR...$40,000. Next to Jesus, this guy is my savior. Be nice to see that sticking out the skull of a certain NP or CS ! But that would be wrong they should be drawn & quartered! I've seen/ known quite a few that were shooters but voted blue. Why I would ask- most of them were union workers. Easy Tom, take a breath and imagine yourself walking along with Claro & Parker as we pheasant hunt. Hey NICE SHOT! Yup we just got home, the girls found & flushed 10 this morning. I winged one, Parker had a real rodeo trying to catch it then big sister crashed the party and tackled it! Yea...on unions, I was THE ONLY REPUBLICAN in our chapter of the Teamsters while giving my tenure of 44 years.....when I retired, there was ONE more, my replacement who had a brain and would listen to common ssense propaganda. I did the same thing many years ago on my 600 Mohawk, just couldn't get it right. Finally put on a Timney. Have it set about 10 oz. I put a 22-250 barrel on it with a thumb hole Bastogne stock .Even set it up as a single shot for blasting pasture poodles. It shoots great, 55 gr SXSP or Nosler BT will stay under a 1/2" at 100 with no effort at all. You guys are ambitious and acclomplished. All i did was make some butter knives with antler handles and stunk up the room by getting to hot. Did i mention i was sick of winter, Pitchy can relate to that I'm sure. Hopefully by friday I'll be in sunny Palacios and enjoying a fire and some strong coffee, and feeding the seagulls. Dont know why something so simple as that is so enjoyable. Cheers everyone, coming right along with the crossbow. 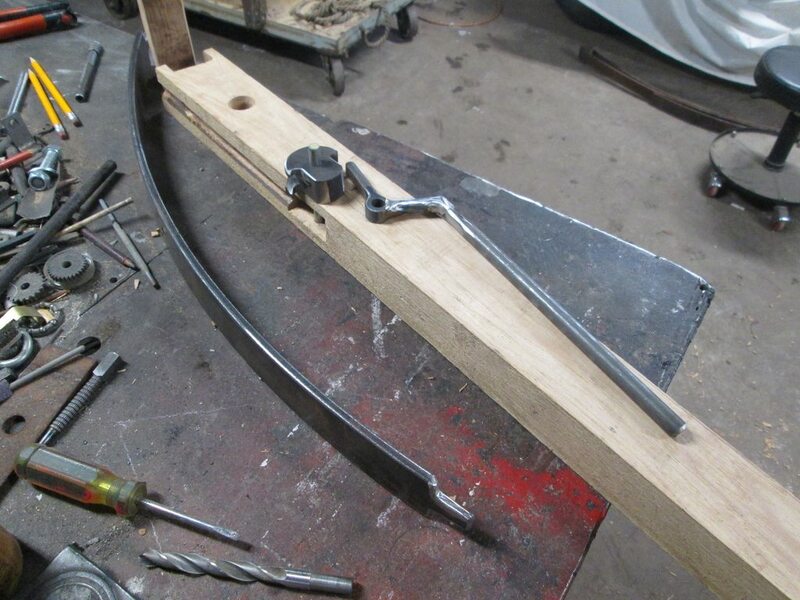 Hey you are making good progress on the crossbow! Pitchy, will you need the arms of John Henry to set it? You going to have a "mechanized" string puller? Last edited by 3leggedturtle on Sun Feb 10, 2019 3:19 pm, edited 1 time in total. Thanks, the only shaft i had that was big enough to make the lock was a 2 inch wrist pin so had to heat it red hot to take the temper out of it so i could drill it. Todd this model will use what they call a goats foot and looks like this. Hey guys, we gotta stick to the original post, right...??? Has anyone ordered a M1 Garand from CMP or advise doing it? Was thinking about the service grade. So, on the way to the office this morning, I was thinking about Garands, and when stopping to get some stuff we needed to fix a light at the office, I was thinking about Garands, and then when I noticed my clutch acting up (difficult to get car in next gear), I kept thinking about Garands. So when I realized that the vehicle would not only not go IN to a gear, it was getting so I couldn't get it OUT of a gear, I thought about Garands, then about if I could make it the three or four miles of city traffic to the office staying in third gear, with no clutch, and the car stalling if I slowed down too much. I've always been good at 'timing' lights, and so felt up to the task. For a few minutes, though, I wasn't thinking about Garands.....it was sleeting, and the roads were slick, plus - coming up to a busy intersection of two divided, four lane streets to make a left turn was a bit 'distracting'......but I made it, and started thinking about Garands again. Made it to the office, spent a couple hours doing stuff, then checked the slave cylinder of the clutch, and sho'nuff it was empty. Walked a couple blocks, soaking my halfway-good shoes, and got some brake fluid (realized I had some brake fluid AND spare shoes in the trunk later ), and filled it, to see if maybe I could drive home, and think about Garands some more. No such luck. Pumped the pedal a few hundred times and still no clutch activity. Cylinder still full now. So it's over my skill-level (which anything more complex than an oil-change or airing up tires generally is). Now I hope the tow truck driver likes guns, so we can talk about.......Garands....!!!!!! Hope ya get it diagnosed Doc and fixed cheap so ya can go back to thinking about Garands. Good job Pitchy! You been busy. Hey Doc, sorry about the clutch. Hopefully, after you are done fixing it, you will have enough money left for a Garand. Hey Inline (six) You can cash my gold turtle in and give to Doc for his clutch and Garand. I'm trying to use up all scrap leather for sheaths, just cant seem to get the right 2 pieces to line up. Hopefully today a friend will help learn to pist pics. Thanks Jay, today was the hardest part, tomorrow we will get the inletting for the trigger arm done then it`s lash on the limb and make a string. Oh yea gotta make that cocking lever also, if it don`t shoot across the room i`m going to cry. Thats funny, my brother was stationed in the Philippines and sent me a pistol crossbow home, it was like shooting those foam dart guns! Looking at the leaf spring ya got I'm sure itll shoot across the room, through the wall and into the other room! Now we`re having a Garand time. Gunny i put a string on it yesterday and attached a rope from it to a 20 inch bar i used as a lever and could pull it back 7 inches with all i could muster so i`m hoping for some power.